The moment I booked my plane ticket back to Ghana and my summer as a teaching assistant for the Digital Heritage of West African Monuments Field School, the end of May couldn’t come fast enough. 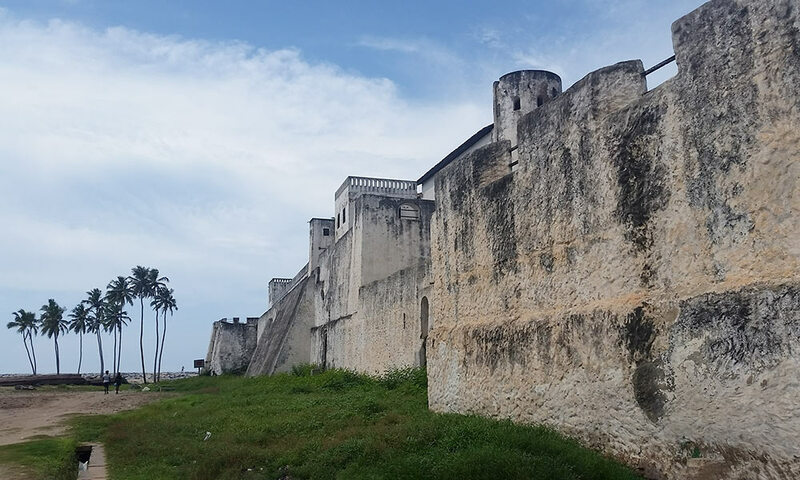 After working in Professor Perucchio’s lab all year with the data we collected during the last field season, I was so excited to return to the Elmina Castle. The multitude of questions that arose from our year of lab work could only be explored and resolved while at the castle itself, so I came prepared with a long list of questions and goals! From the moment I left the airport, however, I was reminded of all the other reasons why I missed Ghana so much. To start, the people are so kind. My flight arrived in Accra at 2:30 a.m., and a customs officer lent me his phone to call someone in our program to come pick me up because it was too late at night to purchase minutes for my phone. Whether I was in a medical clinic and my doctor talked more about my opinions on the World Cup (as we all know, both the U.S. and Ghana did not make it to the World Cup) than my cold, or if I was outside Elmina Castle talking about art initiatives for kids with the local painters, everyone was enthusiastic about making a connection. When our group would walk to the Cape Coast market in the evenings (to buy fresh mangoes and avocados, another one of my favorite things about Ghana), we’d occasionally end up in conversations with shop owners that went beyond, “do you have Oreos?” They would want to know our names, if we were married, and why we were in staying at the University of Cape Coast campus. Everyone seemed interested in our work with the castle (especially the immigration officer who stamped my passport in the Accra airport—I hope he gets the Master’s degree in history that he was telling me about!) The kindness and openness of Ghanaians is lovely thing to experience, but it also makes me think about my place in the research we’re doing. My job as a TA is not just to continue to learn, but to assist in the learning of those around me. It’s my responsibility that the University of Rochester students on our field school develop as both researchers and world citizens. It’s my responsibility to fulfill the founding principle of our field school that all knowledge and skills will be shared in a collaboration with University of Ghana faculty and students. As a white woman with a varied background in archaeology, engineering, and music, my practical skills can help the castle today. I can oversee the manual surveys, assist in the ethnographies, and teach students and locals about our total station and FARO laser scanner. 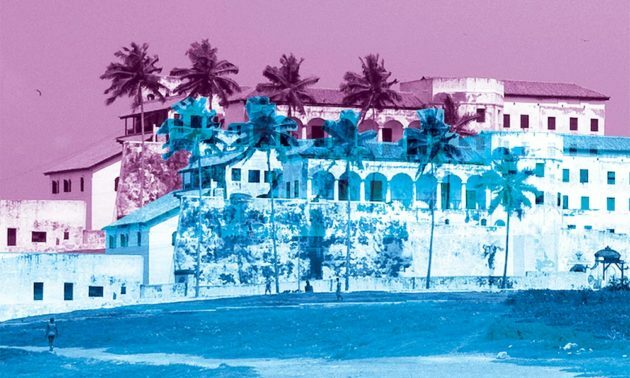 However, the most help I can do for the preservation and heritage of Elmina castle, Fort Amsterdam, and the other slave castles along of the coast of Ghana is to teach others how they can study and care for the castle tomorrow. Partly, this comes down to skills—not everyone knows (or can be expected to know!) how to draw architectural drawings or analyze the structural health of a building. Not everyone knows how to navigate Agisoft (our software of choice for photogrammetry) or FARO SCENE (our software of choice for our laser scans). But this also comes down to showing to others that our research is a relevant, important time commitment. Research that is not read or valued does not have much point. For example, Fort Amsterdam has crumbled spectacularly since its latest reconstruction in the 1980s. Instead of addressing Fort Amsterdam’s real problem (unstable foundation and constant soil erosion) in the reconstruction, builders added new walls, rooms, and a bastion to the skeleton of the structure. While I don’t know if an engineer was consulted during the reconstruction or not, I do know that a structural analysis would have revealed the tenuous condition of the foundations. Either this analysis was given and then ignored or it was not thought to be done in the first place. Both options do a disservice to the people of Ghana who paid for the monument and the communities that live near the fort or those who value it for its historical significance in the slave trade and period of European control of the coast. 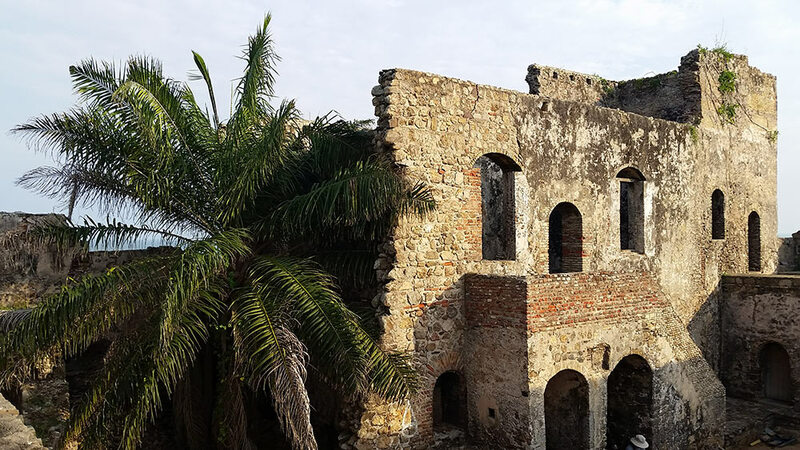 We can study Elmina and the other castles on the coast as much as we like, but unless we can get others to listen to our results, no changes can be made, no preventative steps can be taken, no new information about the history of the castle can be used. I’m not just talking about the GMMB—the incredibly accommodating Ghana Monument Management Board that makes our study of Elmina and the others possible—I’m talking about the community members who could help us with our research and the tour guides who can add the information that we unearth into their castle tours. With this in mind, I made a pact with myself during the past few weeks that I should be as open and accommodating as possible with anyone who has a question about our work. Going forward, I’m challenging myself to be a better advocate for the Ghanaian researchers and students who deserve the opportunities I have had to study the castle in variety of ways. I don’t have all the answers as to how this will play out, but I know I need to try. It’s an important step in connecting our work to the communities these castles affect most. The question of relevance draws archaeology close to music. In my four years at Eastman, the question that always ran through the heads of my peers and I was, “how can I make what I do relevant? How can I make people care about this instrument/music style/playing technique that I have devoted my life to?” To me, the motivation for creating music is the same as the motivation for studying the world as an archaeologist—to connect with people using our variety of skills in order to discover new things and bring new ideas and experiences to people so they can understand the world in a new way. It might be that Ghana has taught me more lessons than I have taught to others while I’ve been there. (Indeed, I’ve learned enough for a lifetime.) But the beauty about our research is that it’s not going anywhere. Elmina Castle is over 500 years old. It is in far, far better condition than Plymouth Plantation, 150 years younger and just a two-hour drive from where I grew up in Connecticut. Other students, professionals, and I have many years ahead of us in which we can work to tip the balance so we have given far more than we have gotten to the heritage monuments of West Africa. Samantha Turley is a teaching assistant for the Ghana field school and a Take Five student studying Urban Planning. 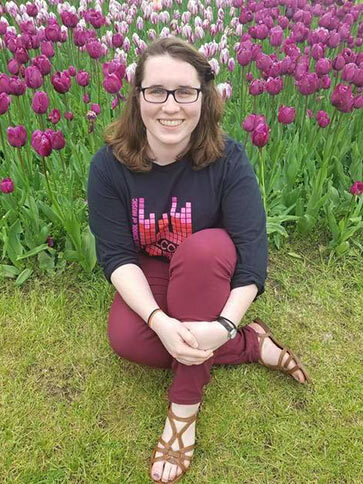 A former dual degree student in Harp Performance at the Eastman School of Music and the program in Archaeology, Technology, and Historical Structures in the College at the University of Rochester, Sam enjoys reading, hiking, playing music with her friends, and exploring new restaurants in the Rochester area. She is incredibly excited to have returned to Ghana for another field season.